Silver Lake, Ind. 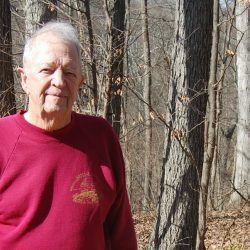 (September 17, 2018) – ACRES Land Trust’s Wildwood nature preserve in Kosciusko County has grown by 19 acres enclosing the preserve’s small pond, thanks to a purchase from neighbor and tenant farmer Roger Wagoner and his wife, Carla. Aerial imagery of ACRES’ recent 19-acres addition to Wildwood near Warsaw shows the land has been forested since 1938, the earliest year for which such images are available. 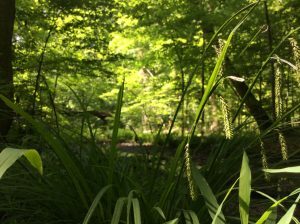 The Wildwood addition enhances a larger, 238-acre conservation area ACRES purchased from Bob and Alice Frantz through a bargain sale in 2002 with financial support from Indiana Heritage Trust. Wildwood is a state-designated nature preserve, which provides further protection and additional resources to ACRES for the care of the land. ACRES’ original Wildwood tract includes about 100 acres of tillable ground farmed by the Wagoners. The couple recently purchased about 80 acres on the east side of the preserve, including the 19 acres of woods that aerial imagery shows has been forested since 1938, the earliest year for which such images are available. The addition also helps ACRES protect the entirety of the small constructed pond at Wildwood. Wildwood’s small pond is surrounded by forest, a pine planting, wetlands and prairie. Oak, hickory and many more tree species can be found here, along with wildflowers. Wood ducks populate the pond, and several woodpecker species, including redheaded and pileated, live at the preserve. 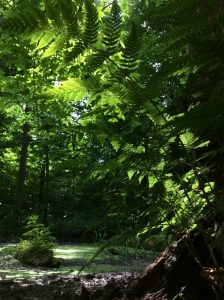 Several trails, open dawn to dusk, thanks to member support, wind through the forest, wetlands and prairie. 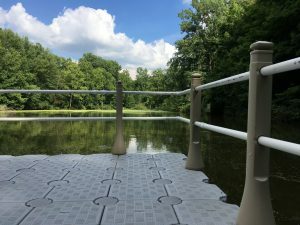 ACRES recently installed a new floating dock with the support of the Arrowhead Resource Conservation and Development Council and Kosciusko County Soil and Water Conservation District. The dock will provide better access for students from area schools who regularly visit to conduct pond studies. ACRES needs $43,700 to complete funding for the preserve expansion. ACRES’ 19-acre addition to Wildwood addition enhances a larger, 238-acre conservation area that the nonprofit purchased from Bob and Alice Frantz through a bargain sale in 2002. These lands are being conserved, in part, by funding and technical assistance made available as mitigation for impacts caused by the construction and maintenance of the Reynolds Topeka Electric System Improvement Project in partnership with the United States Fish and Wildlife Service. 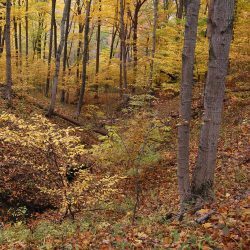 The Conservation Fund, a national organization dedicated to creating land and water protection strategies that balance environmental stewardship with economic vitality, serves as the administrator of the funding source and works collectively with the Northern Indiana Public Service Company and the U.S. Fish and Wildlife Service to achieve mitigation solutions with the highest conservation value.